Benoy is honoured to announce that Hysan Place has won the 2014 VIVA (Vision-Innovation-Value-Achievement) Best-of-the-Best Sustainable Design and Development Award. 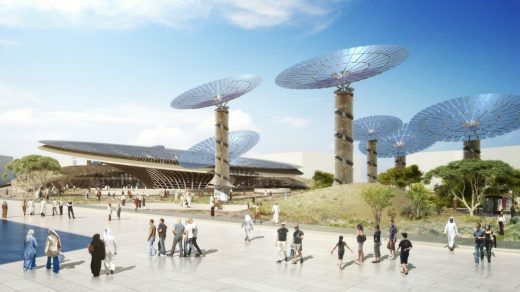 The Hong Kong development was one of five winners announced by the International Council of Shopping Centers (ICSC) at the global awards ceremony on 18 May in Las Vegas. 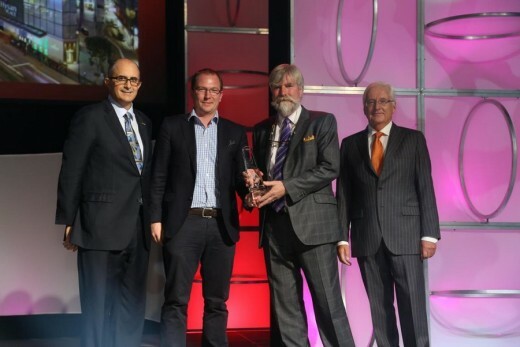 Honouring outstanding examples of shopping centre design, the ICSC Best-of-the-Best Awards bring together the Gold Winners from regional competitions to compete for the international title. 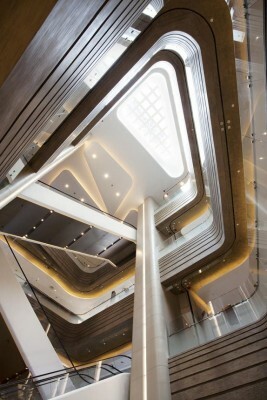 Hysan Place previously won the top Gold Award for ‘New Design and Development’ and the special ‘Sustainable Design’ Award at the ICSC 2013 Asia Pacific Awards. Speaking at the event, President and CEO for ICSC, Michael P. Kerchval, commented, “This centre is an incredible example of sustainable design. Hysan Place is a great model to encourage other centres to implement green practices”. 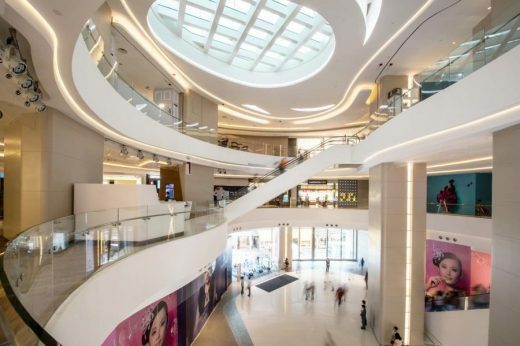 Hysan Place’s award marks the second consecutive global win in this category for Benoy, following in the footsteps of Parc 66, Jinan which took out the VIVA Best-of-the-Best Sustainable Design Award in 2013. Benoy’s Vice Chairman, Nick Lamb and Global Director, Tom Cartledge, were at the event to collect the award on the development’s behalf. Hysan Place is the first LEED Platinum certified shopping center and development in Greater China; a vertical mall spanning 17 levels which has established itself as the retail landmark of the bustling Causeway Bay shopping district. Central skylights, a fourth floor Sky Garden and a careful selection of materials including a state-of-the-art ventilation system, water saving devices, low energy fixtures and recycled materials featuring two-hundred-year-old teak are highlights of its environmental design. “To be recognised on a global platform by the ICSC for a second year running is a huge honour for Benoy. Hysan Place truly embodies our design philosophy for creating memorable and lasting developments for our communities”, commented Benoy Director, David Buffonge. “We would like to thank the ICSC for recognising the importance of sustainable design in the commercial sector and also thank Hysan Properties for their collaboration and commitment to creating an environmentally aware landmark for Hong Kong”.